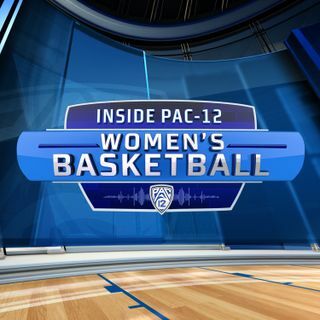 On the 9th episode of the Inside Pac-12 Women's Basketball Podcast, Pac-12 Networks' Ashley Adamson and Mary Murphy recap Selection Monday and analyze the road to the Final Four for the 6 Pac-12 Teams dancing. Mary breaks down the challenges each team will face, and determines who is set up for success (8:49). UCLA head coach Cori Close (19:20) joins the podcast and tells us the special treatment a team receives when traveling during the NCAA tournament. Cori talks about John ... Más informaciones Wooden's pyramid of success and why it is her job to make it relevant to the kids playing today (24:28). Cori talks about her emotions while watching Gymnastics coach Miss Val last meet at Pauley Pavilion and how they were both influenced by Wooden's message (25:25). Coach Close talks about the volunteer work her and the team did while in the Virgin Islands and what the effects of being able to give back to the community (28:00). She ends her interview talking about her experience as a player in the NCAA tournament and the parity this year's tournament presents (31:10). Connecticut Sun guard and Pac-12 Networks broadcaster Layshia Clarendon talks to Ashley and Mary about playing in the Final Four with the Cal Bears in 2013 (38:20). She talks about what she remembers the most about their run and why this year's Oregon team reminds her a little of them (40:00). Layshia talks about the transition to become a media member and reveals the grind and commitment it takes to sustain being in the WNBA (50:57). Ashley and Mary wrap the pod talking about Arizona in the WNIT (54:06) and Mary gives her Final Four predictions (58:41).